In my last bargain update post I might have mentioned that I've technically been 'saving' and 'not shopping'. It seems I can't help myself when it comes to sales, charity shops and general temptation. Once again I seem to have accumulated a few things, whoops! 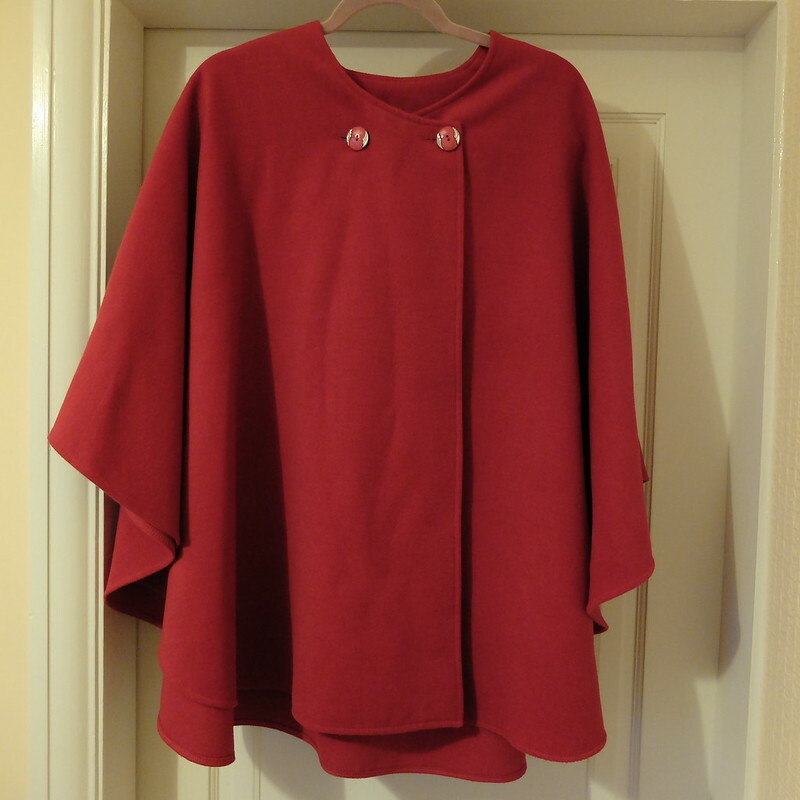 Firstly, I was made a present of a large red cape from my husband, it's oh so cosy and looks rather dramatic, which appeals to me immensely. 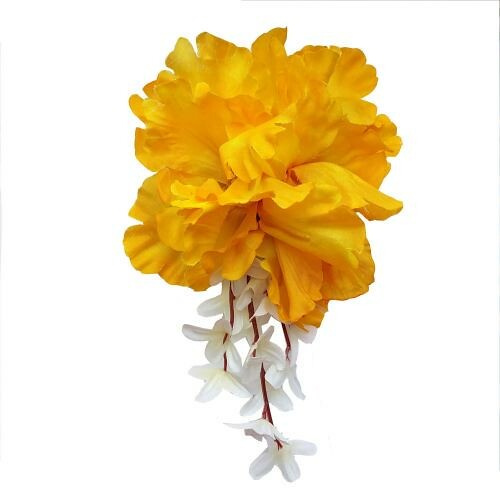 At about the same time I purchased a lovely hair flower to wear to an upcoming wedding. I don't think my husband approves, it's quite large and he thinks it "detracts from your face", which I'm not sure how to take! What Katie Did had a sale over Easter, so of course I dived in. I bought the Vivien French knickers (wonderful), and the glamour bra (it doesn't look great on its own, but definitely works under clothes). The cabaret bra is a bad fit, I will have to resell, as unfortunately they don't accept returns on final sale items. No photos of them sorry, they've all disappeared off their website for good! I saw the lovely Harlow sporting the Michelle maxi dress by Collectif last year and I became obsessed with tracking it down. I finally found a bit of old stock in my size, on Ebay, so I've bought it as an early birthday-present-to-myself. It was originally £65 and I got mine for £30, so that's still a bargain. Because one present is just not enough, I then ended up ordering this lovely 1930s tie-neck blouse, after foolishly watching Indian Summers, reading Agatha Christie, and browsing Art Deco paintings, all in a few days. No-one can withstand that amount of 1930s inspiration without being compelled to act on it. Regrettably, it's just not my blouse. It's a viscose, and a tad too stiff on my frame, adding bulk, and there's something about the colours that don't work on me. I also feel the sleeves are too short on my long arms. It's nice enough, and if it was a charity shop bargain no doubt I'd take it home and try to make it work, but at £45 I have to send it back because this blouse will look fabulous on someone else, and it deserves to look fabulous. That leads me nicely on to readings. A friend has lent me a stash of Agatha Christie books, which I'm ploughing my way through on my commute. 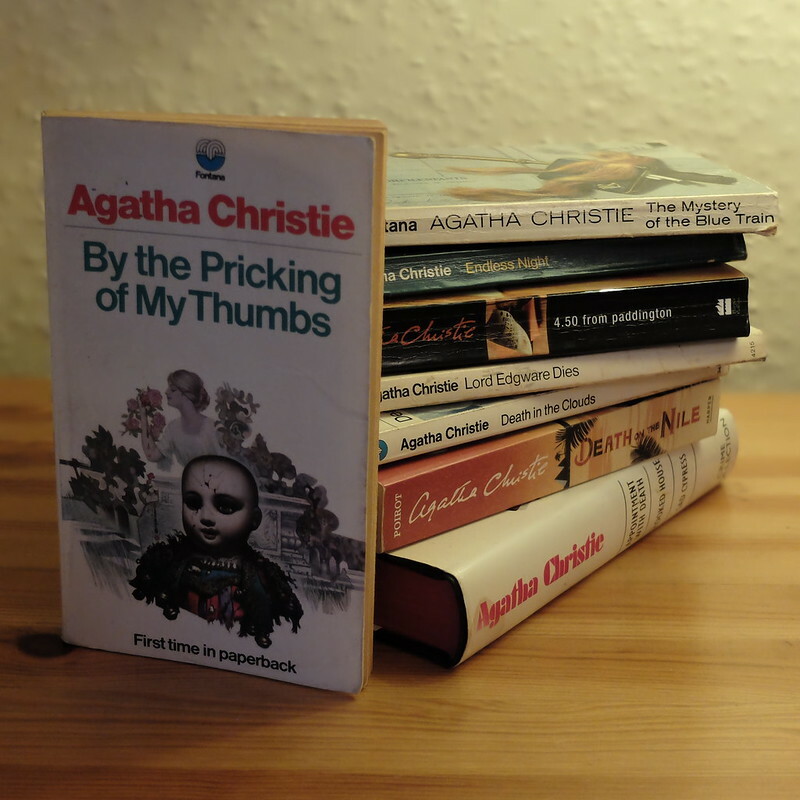 I really enjoyed reading my first Tommy and Tuppence novel, 'By the Pricking of My Thumbs', but wasn't so enamoured with 'The Mystery of the Blue Train' with Poirot. 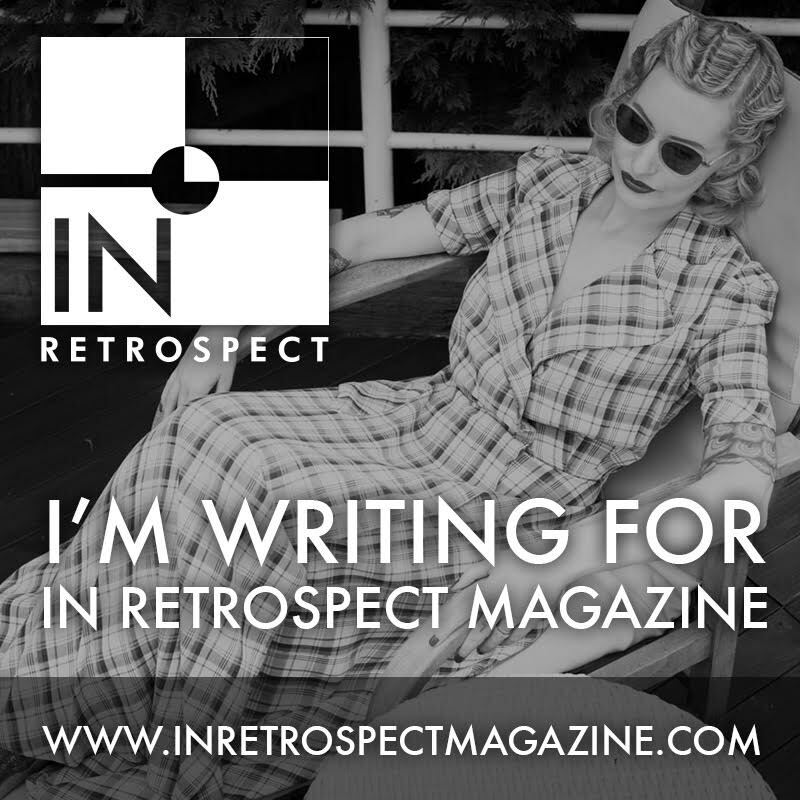 I've also been enjoying the latest issue of In Retrospect, completely biased of course due to my role as contributor. 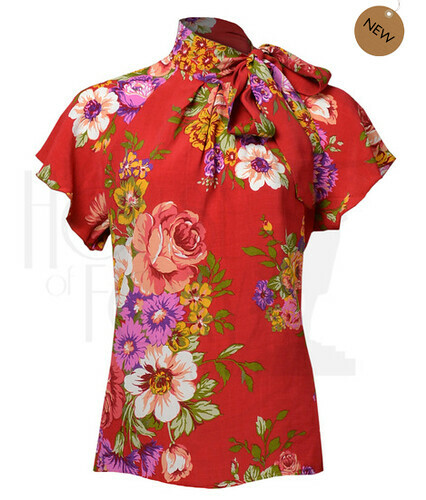 One of my articles for In Retrospect looks at British manufacturers of vintage style clothing. 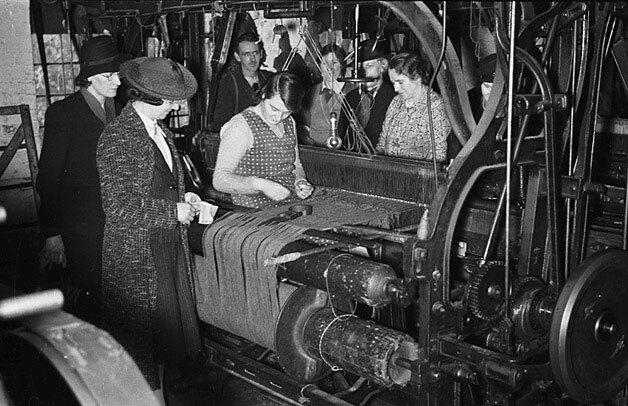 Above is Wales' last tweed mill in 1940. I won a Kiss Me Deadly voucher and promptly spent it on the Sirena waspie (which I need help to get into, blimey! ), and the red seamed stockings. It was whilst they had their Easter Egg hunt on, so I also snagged a free pair of Sirena knickers in purple, and another pair of stockings for free. With a little bit of deadliness, to get me through life. I'm having a little breather from blogging this weekend - my next outfit post will be up on Tuesday, so check back then, for an extra special post featuring not only myself, but the lovely CiCi Marie! Wishing you a good end to the week and a restful weekend! I am drooling over your new maxi dress. You are gonna ROCK that. I'm also drooling over that bow blouse. What a shame it didn't work. The colours are amazing online. You were smart to buy those Hasbeens. I'm sure you could resell them for much more than what you paid for them if need be. Cannot wait to see the post with you and Cici. Wow that cape is beautiful! I love the hasbeans too, you have the best eye!! I'm looking forward to your next post! I had to read that line twice. Wow, wow and wow again on scoring a pair of SH shoes for such a stellar deal. I would have nabbed them up instantly, even if there had been a zero on that price. Fabulous charity shop shopping, dear gal. Those Hasbeens were the bargain of the year, you do brilliantly there! The Hasbeens were a great bargain-they are v expensive!!! 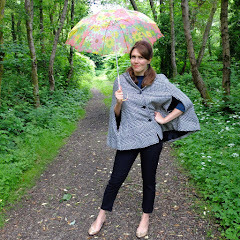 I have that exact same cape in royal blue which I love!!! I'd love to be Red Riding Hood though. 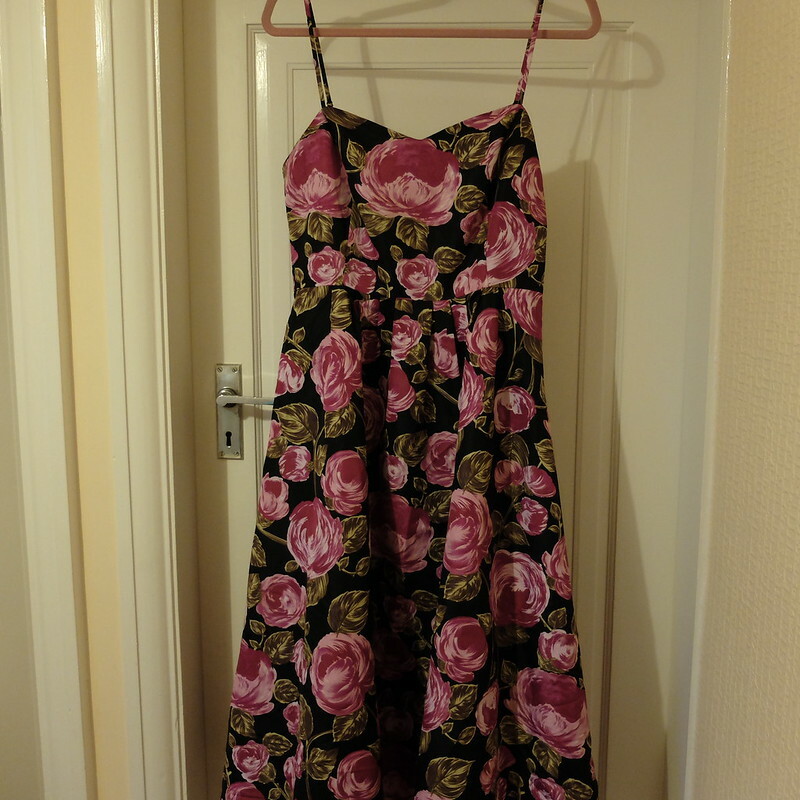 I've never even seen a Collectif maxi!!! It is beautiful! Yay for Poirot and Tommy and Tuppence!!! I know what you mean about being unable to resist la charity shops-I can't!!! I bought the entire Poirot short stories which I was thrilled about (in my current post) as my Mum culled our family sets a few years ago. 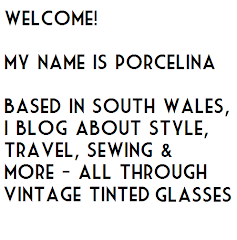 I also bought a beautiful jumper and skirt which I'll share soon on my blog!!! And yes, I always want to dress art-deco when I watch things like that!!! I'm glad it's not just me who can't stop buying when they aren't meant too! But wow what amazing purchases, well worth every penny. I love the look of that blouse what a shame it wasn't right. It is funny how some things look hideous on the hanger and fabulous on and vice versa isn't it? The clothes on Indian Summers are amazing aren't they, I'm loving it. I spent my money on What Katie Did as well, but for me the Glamour bra didn't fit at all. I tried the strapless one and not even half my chest went in and then the regular old style Glamour bra didn't fit properly either - it had empty space at the top and the trimming was really ichy when I tried it on. However the Cabaret torsolette fit well for me. The cup shape isn't perfect, but it fit so much better than anything from the Glamour range. I just hope that friendly person understood what I was asking and that they will let me exchange those ill-fitting bras into something else instead of sending them back to me with my other exchanged items (I also returned the new Glamour Corselette which didn't fit me either). Those Hasbeens shoes are a crazy bargain!!! I am going to assume the previous owner didn't have it in them to break them in? Lucky you! And how great was the WKD Easter sale, I put in my very first order and am so looking forward to receiving it, though I am totally bummed that I missed out on the French knickers - they went quick. I also ordered the Cabaret bra - Ellen of A Wild Tea Party recommended going a whole cup size up so I'm keeping my fingers crossed it fits. 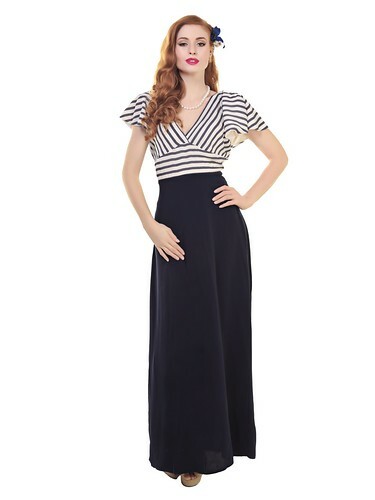 Thank you so much for the shout out for the Collectif maxi - I hope you love it and get some nice beach days this summer to wear it. I can just picture you looking fabulous on a sun lounger cocktail in hand! Wow.. the cape is stunning. Looking forward to see you wear it. Love that dress hanging on your door! Love your dress hanging on the door~! Swedish hasbeens for 4.50 are still a significant saving in my book! Well done on some serious bargain hunting!!! !